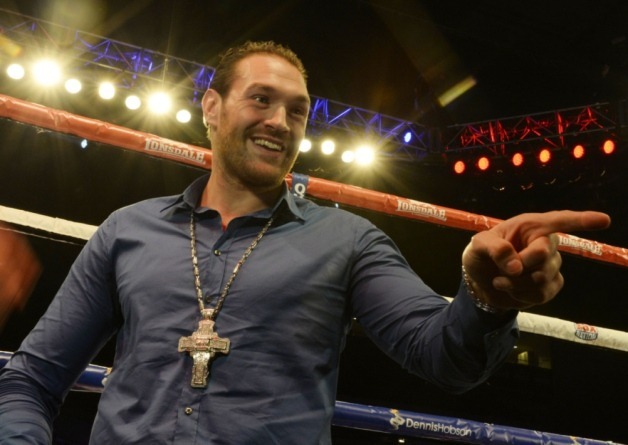 Home > Boxing > Does Tyson Fury deserve his chance? Ask Tyson Fury anything and you’ll get a head on reply. Whether its mood swings or his attitudes to women ask this man pretty much anything and he will tell you in no uncertain terms what he wants and expects to happen, from the nineties the Naseem Hamed’s, the Chris Eubanks the ayatollahs of British boxing that sent out a message with every intention of backing it up has British boxing in the last 10 – 15 years lacked the Marmite character that can get people talking about heavy weight fights again? This unpredictability that he possesses has lit up the media scene but was his table flipping stunt at the recent box nation press conference indicative of a man who wants to finally let his fists do the talking? Despite his size he has the heart to sit there and trade with every opponent not just jab away despite his long reach cast your mind back to 2011 with his first encounter points victory over Dereck Chisora in a glorified slug fest somewhat. But fast forward 3 years and what has been a very up and down end of 2013 and early 2014 for the fury camp has resulted in his big break a 3 match contract under Frank Warren on Box Nation showcasing the two most verbally explosive fighters Britain has to offer with Chisora’s previous as well as Tyson. This fight brings a personality transplant though despite Tyson’s ongoing antics, Chisora has seemed to mature in this early build up taking the moral high ground somewhat in their first early exchanges sarcastically clapping at Fury’s rages. Some argue this Media frenzy has disguised the recent form of this man a dejected face after his David Haye fight fell through and more notably sporting a visible gut in his Joey Abell fight but this hasn’t seemed to affect Tyson a man sometimes looking like being caught between laughter or tears he has taken little measures to control his emotions leading up to this eliminator fight and is coming on a menstrual steam train straight into the Chisora camp. He has been compared to his namesake at times *Mike Tyson* for his antics but the self-proclaimed Miley Cyrus of boxing has come from a ballooned 19 stone at Christmas time aided by booze and self-indulgence after David Haye left him at the boxing altar. The sweet talking Irish Mancunian despite in frequent action still swayed a fight of this magnitude which proves this man despite his silver tongue still has left boxing fans wondering if this 6 ft 9, 19 stone Mancunian can justify this attitude despite infrequent bouts of late. He cites his Uncle as a massive turning point in his career of late. Peter Fury a born again Christian, Tyson describes as being a calming influence in his otherwise turbulent world. Tyson has also been criticized for a lack of conditioning and leaky defence by his critics, Peter Fury has become his boxing nanny a trained nutritionist and psychologist has helped towards trying to keep a focused Tyson preparing for a whole new kind of bout with a fitter calmer stronger Dereck Chisora. These fighters are showing the signs of not only capturing a new generation of boxing fans but also reviving the rival to the Hearn empire Box nation. One thing for sure Warren has struck gold with two boxing personalities that will make this fight build up a soap opera with an explosive ending even before any boxing action is underway. All of this is, of course, a ticket selling formula from boxing heaven love him or hate him he looks set to put bums on seats. Not sure who would win the Chisora vs Fury fight, If Fury comes in as out-of-shape as he did against Joey Abell he can kiss a victory goodbye. Chisora ain’t to be taken lightly.